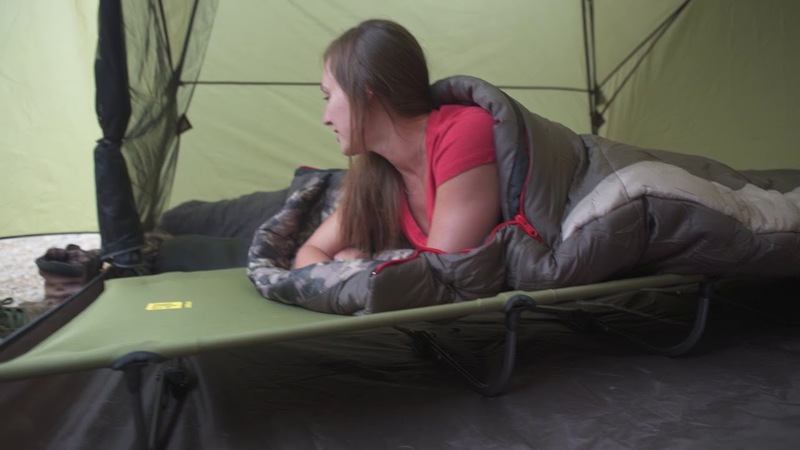 As a leading manufacturer of camping cots we are excited to launch this new lighter-weight and lower profile cot to the Slumberjack collection. The design has been streamlined and perfected making it easier to travel with and use in a tent or small space. Cots are meant to get you up off the ground providing storage space underneath and a more of a bed like experience. The tension bar system provides consistent tension and strength while still being able to pack down to a more compact carry size optimal for storage and transport. The Low Cot is would be the ideal choice to create extra sleeping space in a cabin, outfitter or camping tent. I rotated this one in this past weekend and was very impressed. I absolutely love my Roadhouse Tarp, so I figured SJK might also impress with this product. I thought it was fairly easy to assemble and disassemble although the tension needed to place the bars in set-up made me wary to the point I thought I might break it. I know what to expect now and don't view it as a real issue. Overall it is a tough product. I and my daughter both slept on it and loved it. I'm ordering a second one today for my Jeep Kit in WV. I'll probably buy a couple more for my Kit out in UT at some point in the near future. Really want to love this item however the setup and break down of this is something that needs to be looked at. After the second night while breaking it down the pressure to overcome the leg caused it to go into the canvas for the cot giving it a nice rip that I will have to figure out how to repair it. It does what it’s supposed to, just waaaay to much force is needed to put it together and it’s easily damaged. Cant beat it for the price. Easy to put together. Instructions are clear and easy. Stows away in included bag. I'm a bigger fella (6'3" 250) and its plenty big enough and very comfortable. Works well in a tent. Great buy.